Are you looking for the best cake for wife? Or an ideal Cake for dad? Or the lovable Cake for girlfriend? And also the most perfect Cake for your kids? We have both Cake for her and cake for him. You can now browse our website search by cake category and send cake online. 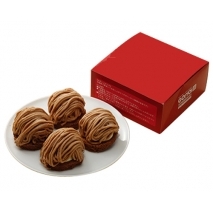 Our simple navigation tools and gifting ideas help you shortlist, compare and send cake Hakodate, Japan in a few easy steps.